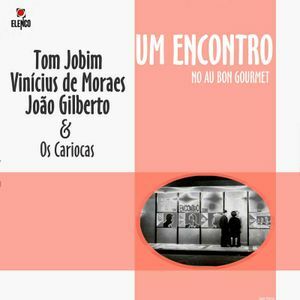 Os Cariocas, Tom Jobim, Os Cariocas, Joao Gilberto e Os Cariocas, Vinicius de Moraes, Tom Jobim e Os Cariocas and more. 50 years ago was performed for the first time in public the song "Garota de Ipanema". This registration was never published, this record does not exist. Rediscovered and remastered thanks to the care of renowned collectors want to be the historical memory of an important moment of Brazilian music. Imagine yourself in the summer of 1962. You have never heard most of this songs. On stage Antonio Carlos Jobim, Vinicius de Moraes, Os Cariocas e João Gilberto, Milton Banana on drums. The venue is the restaurant Au Bon Gourmet in Copacabana, Rio de Janeiro, the date August 2, 1962. Many thanks to Martoni, Loronix, Zecalouro for having made ​​available, with their flawless research, this rare pearl in the history of Brazilian music. Thanks to Christophe Rousseau for remastering the tracks. This is the best, clearest version of this very important Bossa Nova session I have heard. Thank you, you have performed a great service for Bossa Nova aficionados everywhere. Warm thanks! Love this one really sweet stuff u made up there :-). Its necessary to have a beach and a caipirinha for this one. Regards! This is so lovely, many thanks. domenica mattina estiva...una leggera brezza e questo mix...grazie.